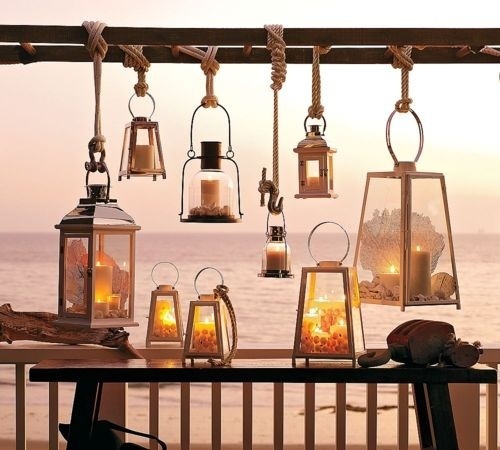 There is something about Lanterns that makes me feel cozy and warm. 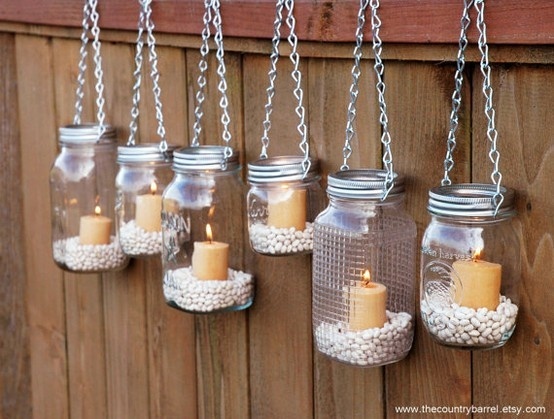 I don’t know what it is about them, but I think they give any room – be it indoors or out – a special atmosphere. 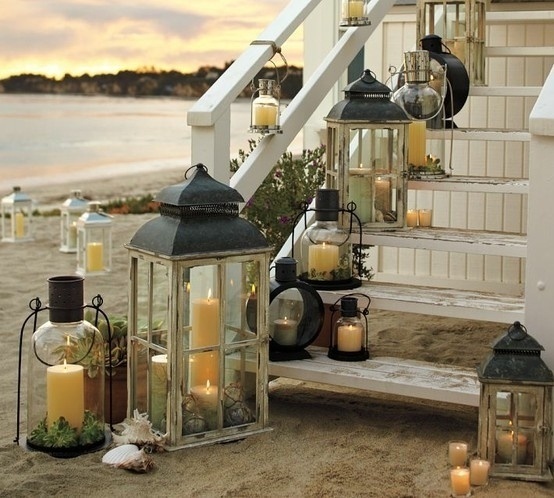 Especially if you want to bring out the beach theme – there are many great ways in which you can use lanterns to tie in beautifully with the beach! 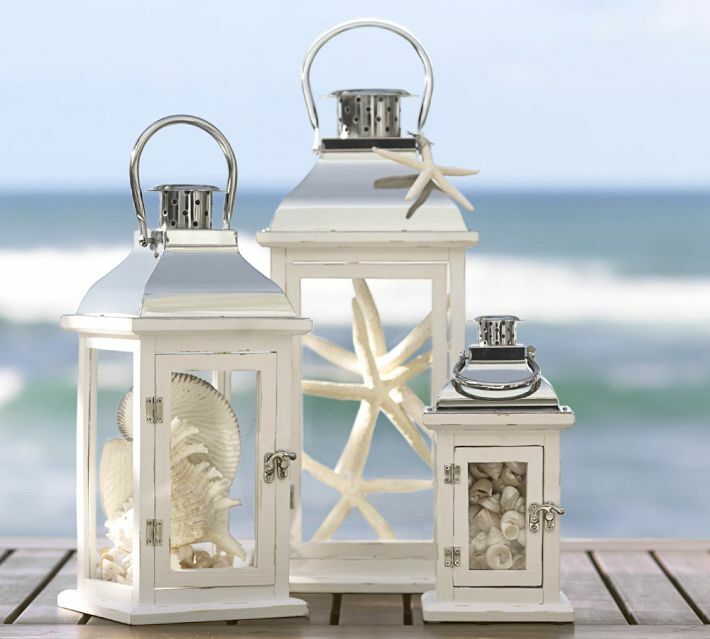 The best candles to use in a beach lantern display would have to be white or natural colored pillar candles. 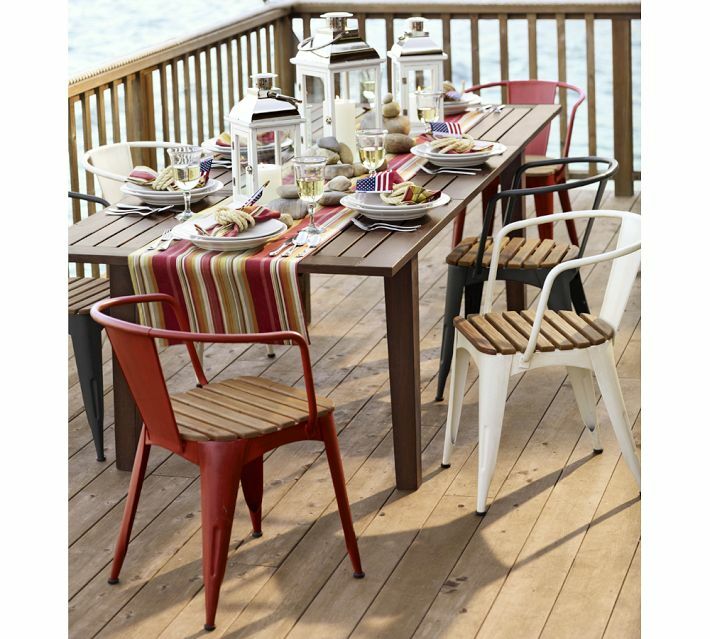 But you could also use soft blues or sandy colors (beach theme colors), but you should stay away from really strong colors. 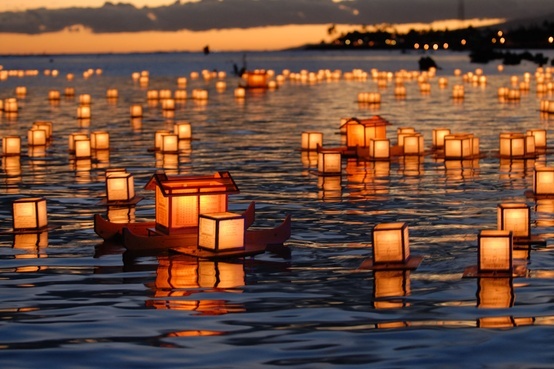 In the following settings, the lanterns are simply used as table decoration. Stunning! 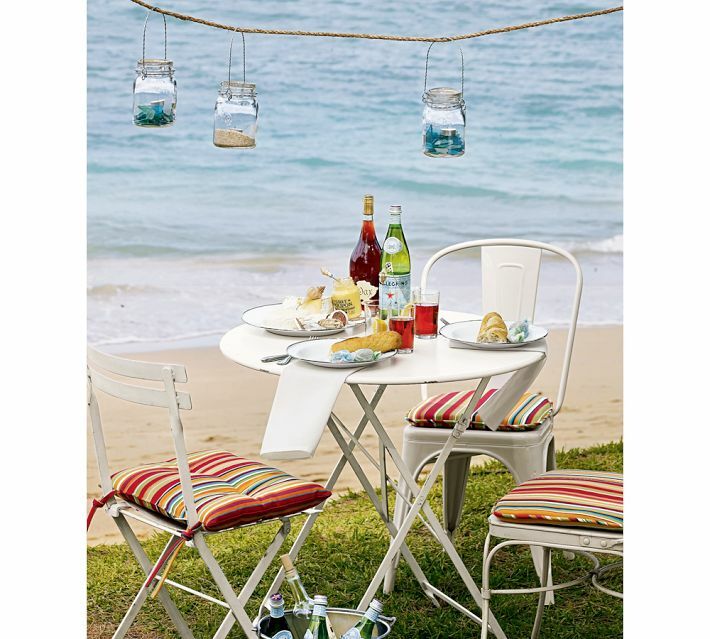 Just by adding some round river pebbles and a few other nautical items like wooden oars you have a perfect display for everybody to admire. 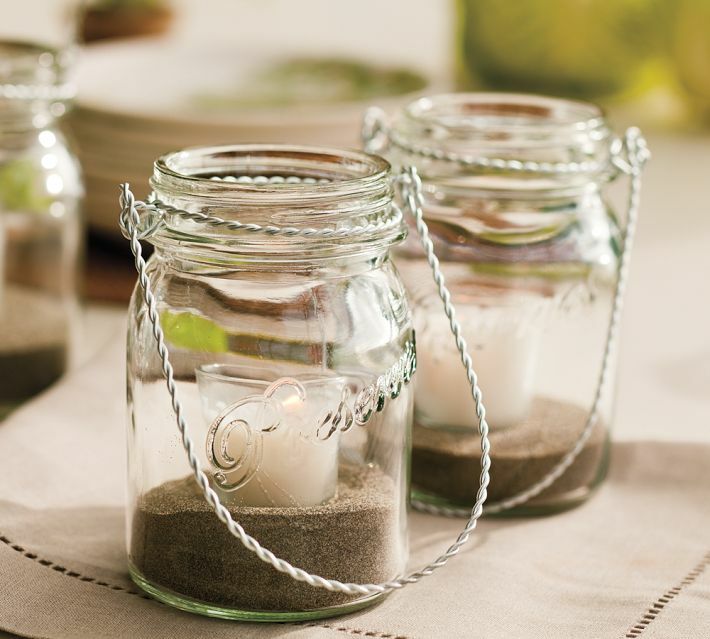 The little margaritas in the plain jar wrapped with rope are very special! 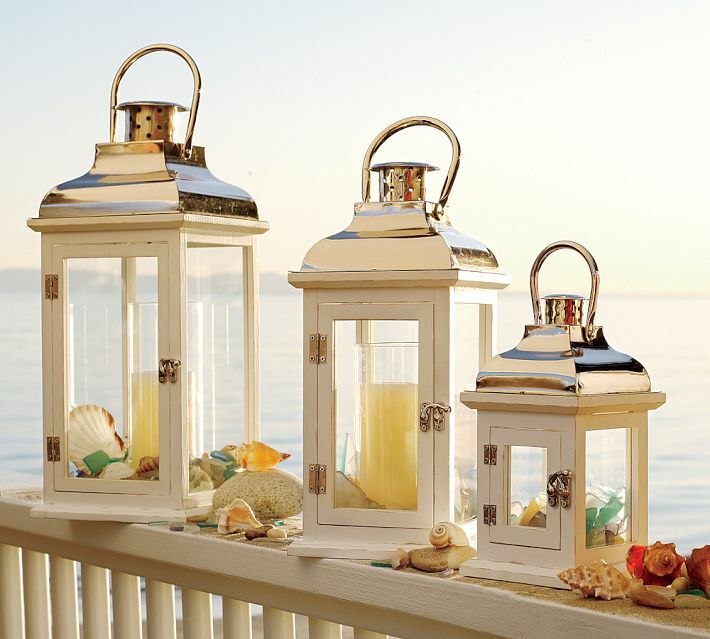 Here just a beautiful display of lanterns used in beach style decorating… I could look at pictures like this forever, it gets me in the mood for more beach! 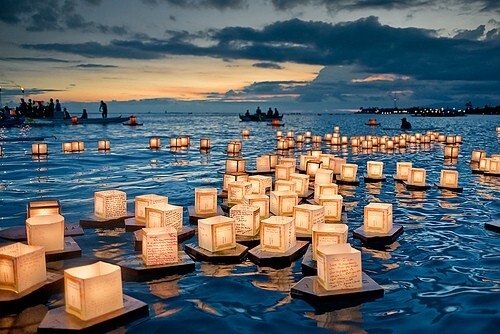 To finish off, here just a couple of shots of some floating candles on the open ocean at the Annual Lantern Floating Ceremony in Hawaii ; wouldn’t it be nice to be there? 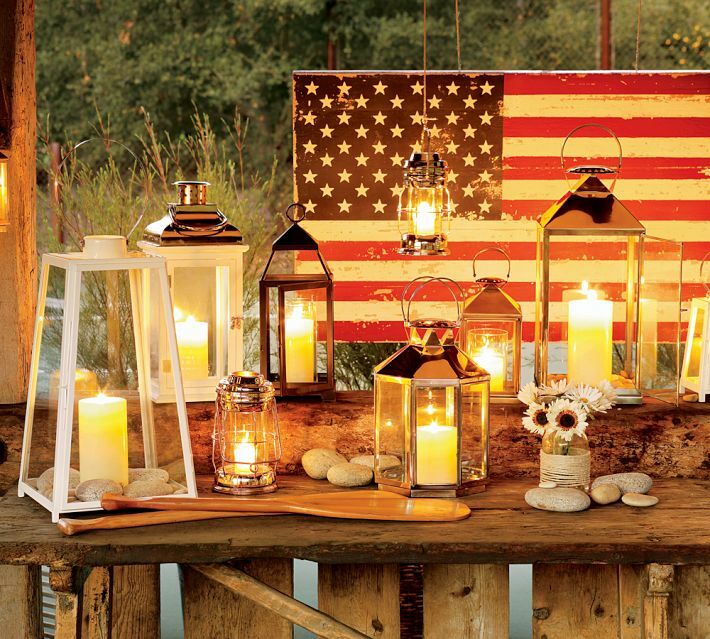 I want to give credit to Pottery Barn and The Country Barrel for giving me inspiration for this post!